Before, my son doesn't want to be with other people and greet anybody. He doesn't want to play with other kids, he doesn't care if someone arrived or is knocking on the door, he doesn't even look at anybody. Now, he feels happy and excited every time he sees kids at the neighborhood. He always say "Hi!" "Hello!" to everybody. And I mean anybody!!! From the Janitors, Security Guards, Delivery Boys, Construction Workers, kids at playground, vendors, passengers, even the tambays at the corner. Our problem before was to encourage him to talk to other people, now we tell him not to say Hi and Hello to every one he sees outside our home. He has improved a lot in his social awareness. He even talks to the vendor by himself without me telling him what to say. I am so proud of him. He is even more sociable than his father. I hope soon he will understand that saying Hi and Hello is fine but then again it has it's limitations. Hey Kids, if you don't want to stay at home and do nothing this summer, why don't you join the McDonald's Kiddie Crew 2013. The Kiddie Crew workshop period will be in batches spanning from April 1 to May 30, 2013. Per batch will be asked to go to the restaurant for 5 days, for 2 hours per day. To cap off the workshop, all restaurants will have their own graduations for the week’s batches, on the 5th day of the workshops. 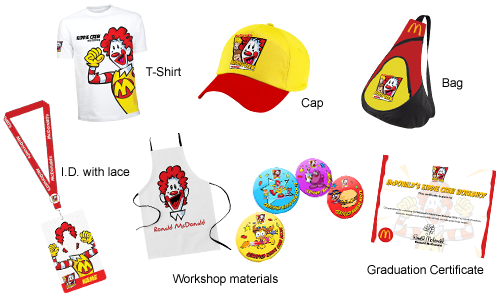 There will also be a Grand Graduation for all McDo Kiddie Crew program participants at the end of summer. I saw the Caroline's Cart in one of the FB page I am following. I thought that it would be great to have something like this here in the Philippines. 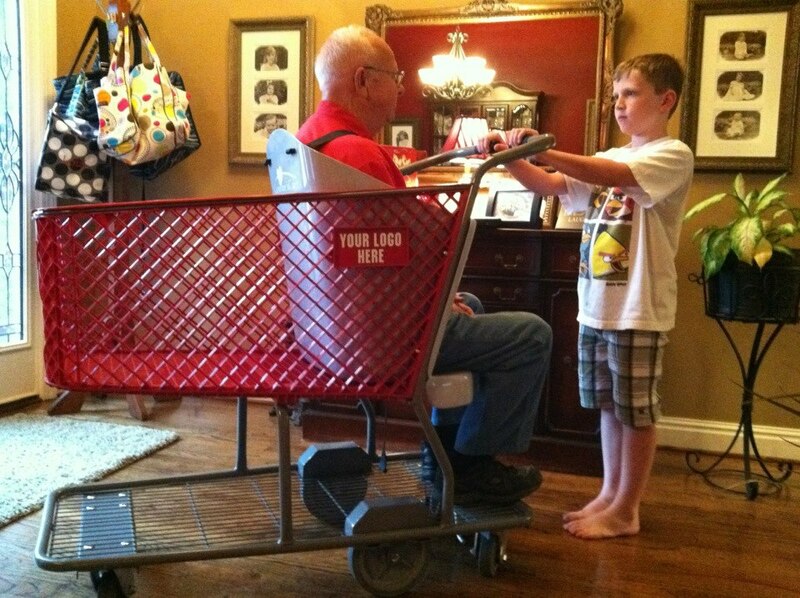 Caroline's Cart was invented by a stay-at-home Mom from Alabaster, Alabama who found it hard to bring her daughter who has physical needs with her when shopping. According to Caroline's Mom - Drew Ann Long "When Caroline was small, I was able to use the shopping carts that retailers provided. 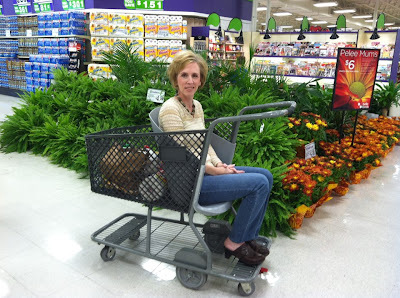 As she grew older and bigger, it was clear that I would soon have to find another option because she would no longer fit in the cart. When I needed to shop, I felt a sense of frustration due to my limited options. Pushing both Caroline in a wheelchair and a grocery cart at the same time was not feasible. I would have to find a sitter for Caroline, bring someone with me to push her wheelchair, or take her shopping with me and only purchase what I could carry while pushing her wheelchair. Eventually, my frustration turned to innovation. I made up my mind that Caroline and other kids with special needs deserved the same opportunity as other children – a specialized shopping cart that would enable them to more easily participate with their families in the shopping experience." 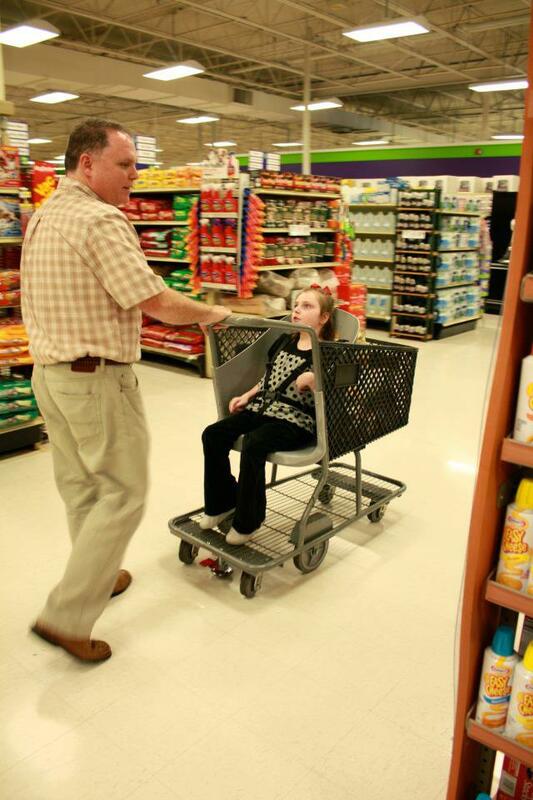 That is the reason why she decided to invent a shopping cart that cater to kids with special needs. It has a special front-facing seat (with a safety belt) that is reclined at a 12-degree angle for people with low muscle tone, a brake to lock the cart and a loading/unloading mechanism. 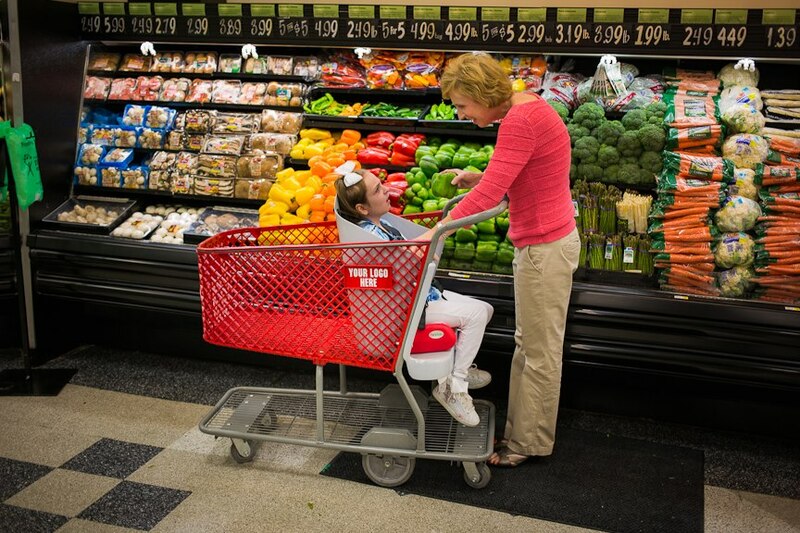 Even adult can seat on the cart because it can carry at least 250 pounds. The handles swing open to allow the parent or caregiver to load and unload the passenger safely. 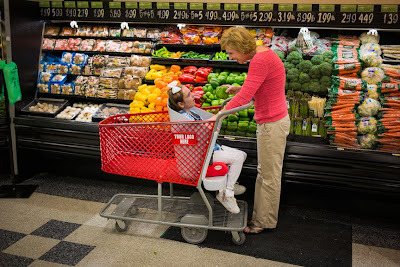 Because of the Caroline's Cart, kids and adult with special needs can now come with their parents/guardian when they are doing the grocery shopping (which can help them see the world more). It will also save you from hiring someone to push the wheelchair if you can't let your child stay at home. This invention is a big help to kids with special needs and to their parents. I hope that it will be able in the Philippines soon.